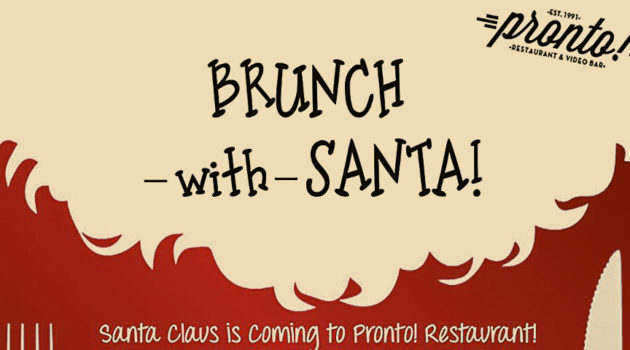 Kids eager to see Santa Claus to ask for gifts can now prepare for brunch with him, too. Presented by Pronto! in Royal Oak on Saturday, Dec. 1. Attendees are encouraged to arrive right at 10:45 a.m. to account for Santa’s busy schedule around the holiday. All ages are welcome to attend this holiday-inspired event. Pronto! is located at 608 S. Washington, Royal Oak. Find more information about the event online at eventbrite.com.